Listen to ﻿Are You at Risk of Developing Diabetes? There are two forms of chronic and irreversible diabetes: type 1 and type 2 diabetes. However, there are conditions in the lead up to diabetes which are potentially reversible including prediabetes — when your blood sugar levels are higher than usual, but not high enough to be classified as diabetes — and gestational diabetes, which occurs during pregnancy but may be resolved after the baby is delivered. Family history: If you have a blood relative with diabetes, your risk of developing it is significantly increased. Race or ethnic background: If you’re of African-American, Asian-American, Latino/Hispanic-American, Native American or Pacific Islander descent, you have a higher chance of developing diabetes. Age: The older you are, the higher your risk. Generally, Type 2 diabetes occurs in middle-aged adults, most frequently after the age of 45. However, healthcare providers are diagnosing more and more children and adolescents with Type 2 diabetes. History of gestational diabetes: If you developed diabetes during pregnancy, you are at a heightened risk. By making healthy changes, you can reduce your risk of having diabetes or delay its development. The changes can also improve your overall quality of life. Obesity: The closer you are to your optimal weight, the lower your risk level. Being overweight puts you at a higher risk of developing diabetes. Losing 5-7% of your body weight can halve your risk of developing pre-diabetes. Or a combination of the two, with muscle-strengthening at least two days per week. 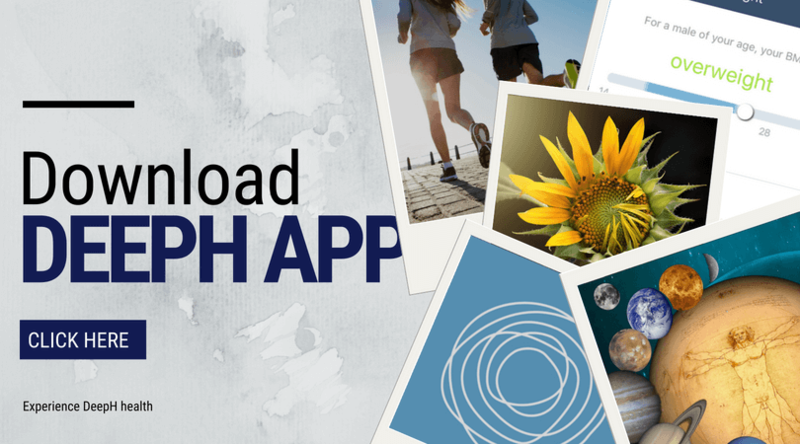 Download the DeepH app to control and monitor your physical activity. High blood pressure (hypertension): In addition to causing damage to the cardiovascular system, untreated high blood pressure has been linked to diabetes. Abnormal cholesterol (lipid) levels: Low HDL ‘good’ cholesterol and high triglycerides can increase the risk of Type 2 diabetes and cardiovascular disease. A healthy eating plan, sufficient aerobic exercise and maintaining a healthy weight can all help to improve abnormal lipid levels. Sometimes, medication isn’t necessary. For more help, you can find easy-to-use home glucose monitors, blood pressure monitors, and bathroom scales at retailers and pharmacies. By keeping track of your numbers on your own, you will be able to manage your health better. You can also use the DeepH app to collect all of your health data in one profile and keep an eye on your parameters. If you think you might be at risk of diabetes, talk to your doctor. By committing to and maintaining a healthy lifestyle, some people can reverse their pre-diabetes or avoid/postpone the progression to diabetes. Even people who have diabetes can prevent it from progressing further and can avoid many complications of the associated complications by adopting a healthy lifestyle. How much can be avoided will depend on the lifestyle changes that are made, and how early they are made.